Two renowned children’s book creators teamed up to make this stirring picture book that tells the story of how, over a century, wolves were persecuted in the United States and nearly became extinct. Gradually reintroduced, they are thriving again in the West, much to the benefit of the ecosystem. This book will teach a new generation to appreciate the grace, dignity, and value of wolves as it promotes awareness of the environment’s delicate balance. 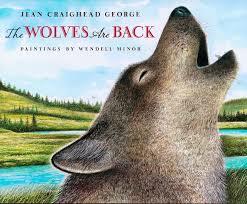 Paired with gorgeous paintings by landscape artist Wendell Minor, Jean Craighead George’s engaging text will inspire people of all ages to care about the protection of endangered species.